It's FRIDAY dolls!!! 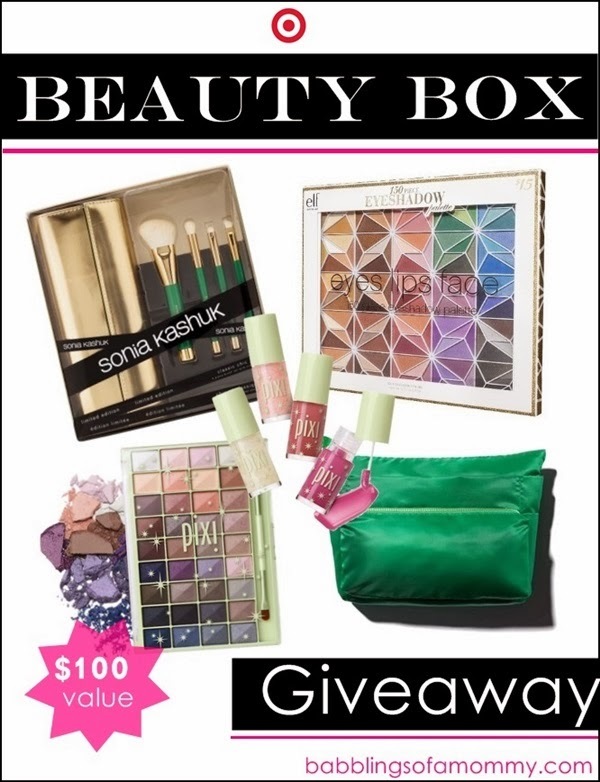 So I want to celebrate by giving away a box of limited-edition beauty goods! Oh, That's a hard one. I would say the Pixi products because I haven;t tried any if their products! The brush set would be pretty awesome! I'm excited about the eye shadows! I'm most excited about the Sonia Kashuk brushes! I'm most interested in the eyeshadow. I am always most excited about eyeshadows! I am excited for the pixie eyeshadows. I'm excited about the Pixi Cosmetics Eye Alchemy Assortment! I am excited about the pixi lip luster set. Besides nail polish, I am really into lip glosses. I'm excited about the "e.l.f. Studio Geometric Eyeshadow Palette 150 pc"
im excited about the brushes!!! I am most excited about the Sonia Kashuk Limited Edition Completely Organized Grande "Emerald Jewel" Cosmetic Bag. I'm most excited about the eyeshadow but I would love ALL of it! I am most excited about the brush set, I am in desperate need of some new brushes. I am most excited about the brush set, I have an odd obsession with them I own 20+ and hardly use all of them but I want more anyways. excited about the eye shadows. I am the most excited for Sonia Kashuk Limited Edition "Classic Chic" 4 pc Brush Set!! I'm excited about the brush set! The Sonia Kashuk cosmetics bag! The brushes. Mine are about 13 years old! I am excited about the eyeshadow palete! I am excited about the brushes. Brushes make all the difference! I am most excited about the Pixi Icy Lip Luster Set . It's really hard to pick! I really like the eyeshadows and brushes! I'm most excited by the Pixi Cosmetics Eye Alchemy Assortment because I love the colors. I'm excited about the eyeshadow palette!! The Pixi eyeshadow. There are so many combinations. love it ! Probably that Pixi eyeshadow palette. So many gorgeous colors to play with! I'm really excited about the Geometric Eyeshadow Palette. I'm excited about the makeup brushes! The brushes! I need new brushes so bad!! I love elf products! I'm excited about the eye shadow. Definitely the Sonia Kashuk brush set!